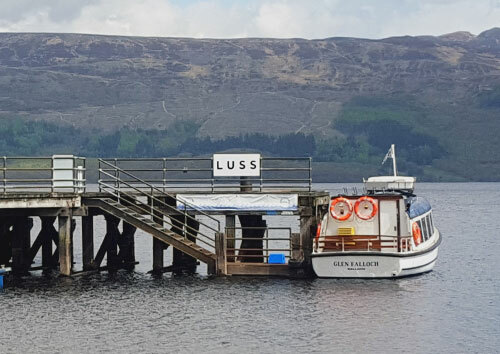 Wondering what to do in and around Luss? 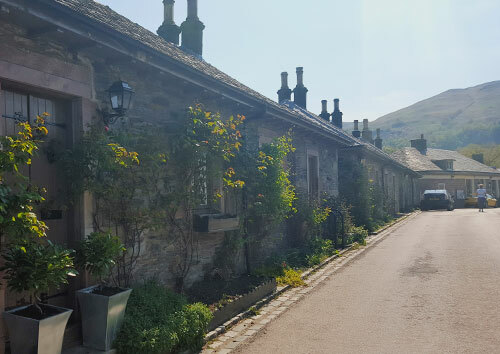 Luss village is just lovely; you’ll feel you’ve stepped back in time, as you wander along the narrow streets in the village and pop into the general store (which is a tourist attraction with lots of charming, high quality Scottish gifts). You’ll notice that the properties in and around the village Centre have been beautifully preserved and restored, and in the summer, are resplendent with elaborate hanging baskets. If you are interested in the history of Luss village and its clansmen/people, there are two visitor centers - and everyone should visit the historic Parish Church , which has some very old and interesting crypts and graves, including a tombstone from the Viking era. No visit would be complete without a wander down to the pier to skim stones and simply enjoy the tranquil loch views - and it’s here you’ll find out about the various boat tours on offer. You’ll also be able to find local golfing, a spa and an art gallery in Luss, if you fancy. And if you decide to go farther afield in Loch Lomond and the National Park, give yourself time and plan: there’s so much to do in those 720 beautiful, Scottish square miles. Foodies are in for a treat! Some eateries focus on good quality fresh food, while others offer local speciality seafood or spectacular views of the loch itself. Luss has a handful of lovely places to dine and the surrounding villages offer everything from cafes to fine dining and therefore simple baked potato to exotic steak tartare. You’ll be able to eat out and soak up the local atmosphere, maybe taking in some of the scenery, especially if you’ve bagged a place with views of the loch. Try out some Scottish beef and seafood while you’re here - it’s world-renowned! A local takeaway will bring dinner to your door if you’re too tired after a busy day! The nearby town of Balloch (5.5 miles away) offers something for every palate, whether you fancy fast food, fish and chips, Chinese, Italian, Indian or traditional cooking. If you’re keen to cook yourself, the nearest supermarket is also in Balloch but you can always do your shopping online and have it delivered (all major supermarkets deliver to us). Our sister company and only a stone’s throw from Glenview. A large Cafe/Bistro, highly rated by tourists and locals alike for tasty, freshly prepared food (we also offer free-from options). There’s something for everyone, from traditional UK fayre to Scottish and international dishes. We do daily specials and a delicious Scottish breakfast, with locally sourced produced produce (served from 10.00 till 11.45am). Children more than welcome. Dogs too! A cosy country pub where you can enjoy fresh, traditional fayre, with locally sourced meats, veg and homegrown herbs on the menu. There is ample parking and a large beer garden - and children and tourists alike can buy small bags of feed for the Highland Cows in the adjacent field. This relaxed restaurant offers lodge style cooking and has stunning panoramic views of the loch and Ben Lomond . Grab a coffee, slice of cake or a quick meal at this contemporary Scottish Coffee Shop on the banks of the loch. You’ll enjoy its quirky sense of style. If you’ve never been to Loch Lomond, we’re excited for you! You are going to love it. It truly has it all - spectacular scenery, rich history and islands to sail around, plus pubs to visit, places to eat and a choice of marinas. You’ll be visiting the largest freshwater loch in the UK . Fact fans will enjoy knowing that it has points that are deeper than the North Sea ! The loch provides a place for watersports, fresh water swimming and cruises. You can also access many of the hidden gems, such as running routes, trails and attractions by taking a waterbus to tricky to reach areas and islands. Simply put, it’s one of the finest places to visit in the whole of Scotland . This family business has been on the loch since 1880, a surefire sign of the quality of their service. Sweeney’s operates the most luxurious fleet of passenger boats in Scotland and offers a variety of cruise options for visitors, departing from various areas around the loch. Cruises are tailored to interests such as scenery, shopping, sightseeing or wildlife and not only does Sweeney’s know every inch of the 23-mile long, 4-mile wide loch but they have four generations’ worth of stories, folklore and Loch Lomond magic to share with you as you cruise. A well-established, high quality cruise provider operating throughout the year from various departure points around the Loch. They have the largest fleet in Scotland and you can select the type and duration of cruise you want to take with them, departing from various points and tailored to your interests and time available, so whether you want to climb Ben Lomond or walk the West Highland Way, Cruise Loch Lomond can get you on that journey. Their cruises will appeal to day trippers, holiday makers and sea dogs of all ages. If outdoor activities are your thing, then what better place to get involved than at this world-famous Loch? You can get stuck into canoeing, hiking, mountain biking, power kiting, abseiling/climbing, treasure hunts, mini highland games, survival skills, Segway safaris, 12-hole mini golf and more. Mountain bike, pedal boat, canoe and kayak hire is also available. Outdoor instructors cater for all ages and abilities, groups and individuals. This company offers a range of boat trips/tours and vessels to hire including simple pedal and rowing boats to petrol powered speed boats, motorboats and fishing boats. There is also a large range of water sports and activities on offer including jet-skis, kneeboards, canoes and kayaks amongst other lesser known activities called Ringo riding and water trampolining! Tourists and locals alike can get around and take in the scenery on the Waterbus service. The service will allow you to drink the beauty of the loch and its surroundings and take you to where you want to be in the area. Stop off to go a walk or a cycle and to have lunch or even bag a Munro! Scheduled services depart from lots of piers and pontoons around the loch so you can leave the car behind and explore at your leisure. The deeply historic and stunning village of Luss is located on the banks of Loch Lomond and is one of the best places to visit if you are planning to enjoy the beauty of the village and explore the wider area. Over 1500 years ago, Saint Kessog , an Irish missionary, arrived at the shores of Loch Lomond and settled on the Inchtavannach island of the Loch. At that the time, the village was known as Clachan Dhu – which stands for Dark Village due to its location surrounded by hills. The Saint was later martyred and the legend has it that his body was embalmed in sweet herbs and the herbs grew over his grave, giving the village the name Lus – Gaelic for herb. Today, the village has its own visitor Centre where you can get tourist information, access the shops and refreshment facilities and also park your car to head off on one of the area’s recommended walks. There are four walks that set off from the Visitor Centre which lead through the village and the surrounding countryside including the Quarry Path where slate stones were mined in the 19th century to provide roofing for houses in Glasgow . The remnants of the slate mining are clearly visible with exposed stacks of slates and a beautiful wooden bridge crossing a spectacular stream. 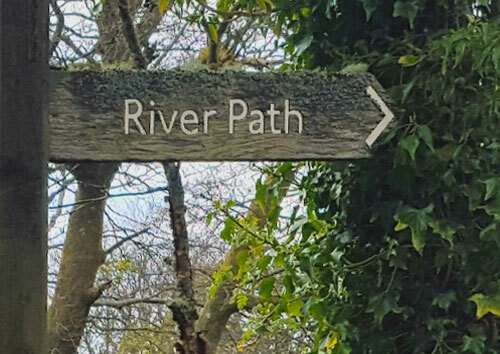 Luss Heritage Path takes around an hour and takes you on a full circuit of the village, the river and the countryside, offering stunning views. You can end the walk at the tourist Centre and reward yourselves with drinks and a bite to eat in The Village Rest , our sister restaurant, which is highly rated and the service is immaculately efficient. A rich deposit of bluish grey slate stones runs through the village of Luss and many villagers worked in the slate quarries. On the walk through the Quarry Path starting from the car park at the Luss Tourist Information Centre , you will still find mounds of slate stones, beautifully stacked in an artistic manner. These were mainly the stones workers had thrown away. It is a fascinating sight, which speaks volumes about the history of Luss. Many tenements in Glasgow still have slate stones on the roofs that were collected from the village. The Maid of the Loch at Balloch Pier, is the last paddle steamer built in Britain and the last in a long line of paddle steamers on the loch, dating back to 1818. Moored on the shores of Loch Lomond the Maid of the Loch is currently undergoing refurbishment with the aim of being operational by 2018. She is open to the public every day from Easter to October and both the paddle steamer and the surrounding area offer great fun for all the family. A spectacular destination for visitors to the area, Loch Lomond Shores is calling you if you fancy having a huge range of entertaining things to do from one location. There’s shopping and eating to be had while you enjoy beautiful loch views. There’s also the local Sea Life Sanctuary - or you can take part in your own water-based adventure on the loch by hiring equipment on the beach. Loch Lomond shores, being a principal gateway toScotland's first National Park, also means you are perfectly situated for nature walks and all the events in the local area. The site is open all year round and access is available to enjoy the stunning scenery all day every day. The buildings are open daily from 10am. Snap up some tax-free shopping at this cool retail village which has been created following a refurbishment of a former sheepskin factory. It has a wide shopping selection of Scottish products, such as clothing by brands such as Pringle and Edinburgh Woolen Mill, plus whisky, candles and cashmere. There’s a big range of outerwear, a food hall, a souvenir shop and a restaurant serving coffees, cakes and traditional fayre. Challenge yourself to climb the 500 steps (240 ft.) to get to the top of Dumbarton Rock and enjoy the views from Scotland's greatest strongholds. This icon has the longest recorded history of any of the country’s castles and has magnificent views over the Clyde , Loch Lomond and Argyll. Whether you’re a pro with a handicap or fancy a family trip, you’ll enjoy a visit to Great Western Golf, one of Scotland's most popular driving ranges. There are 72 all-weather heated bays overlooking the floodlit course. Take a lesson at the golf academy, play on the driving range or test your skills at Jurassic Parr, a dino-themed adventure golf course. Situated on the stunning Loch Lomond Shores, the aquarium offers great fun for all the family, whatever the weather! Explore an awesome underwater world through seven themed zones and a Tropical Ocean Tunnel. See up to 500 creatures including sharks, otters and Scotland's only Giant Green Sea Turtle. If you are interested in clan heritage and the local clans, this small museum is located in Shore Cottage overlooking the loch in the village of Luss. It also happens to be set in the homelands of the Colquhoun’s, perfect for hearing their story through the last 800 years. An unforgettable aerial adventure activity for adventurers at least 7 years old and 1.1m tall. Ideal for adults and kids, groups, families and corporate events. Make your way through the forest canopy, tackling zip wires, balance beams and more. The historic Glengoyne Distillery was founded in 1833 and continues to produce world-class Highland single malt whisky by the same methods as it has always done. Whisky fans will enjoy scenic trip to the distillery, which is only 14 miles north of Glasgow , and has the mountains of Loch Lomond in the distance. With various tours and private dining offer, advance booking is highly recommended. This distillery was founded by Irish refugees in the 1820s in the outskirts of Glasgow . Here, you can visit the producers of the drink also known as Glasgow's Malt Whisky. Auchentoshan is the only distiller of single malt Scotch whisky to triple distil every drop, giving the drink a delicate and sweeter flavour. Loch Lomond, as the largest freshwater loch in the whole of the UK, is often thought to hold the widest variety of fish in Scotland . These waters offer some of the best game and coarse fishing across the country. Here, with those famous stunning backdrops to enjoy, it’s quite possible to catch salmon, sea trout, brown and rainbow trout, pike, perch, roach, chub and dace (remember to arrange your day, week or seasonal ticket in advance). Great trout fishing in the beautiful, peaceful countryside on the outskirts of Loch Lomond and the Trossachs National Park (1 mile from Queens View and within easy reach of Glasgow ). 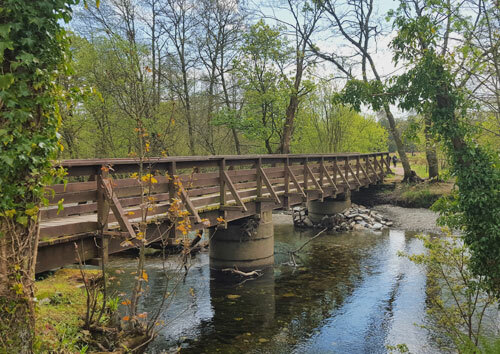 Three trout ponds provide excellent options for families, beginners and experienced anglers. Carman Trout Fishery is situated in the hills above Renton in West Dunbartonshire . Here you can fish for Brown and Blue Trout, as well as some Rainbow Trout. The fishery is situated in beautiful surroundings, rich with wildlife, including ducks, geese and magnificent birds of prey. There is a wealth of superb golfing options in this area to suit all ages, abilities and budgets. While the quality of the golf and the spectacular scenery are a huge draw for international and home-grown golfers, the climate here is great for golfing and during the summer, play is possible from as early as 5am until 10pm at night. It is always best to book ahead with the club of your choice - and make sure you check out the pricing as these vary hugely, depending on the course you want to play. Play a memorable round of golf on PGA-Championship course, The Carrick, on Loch Lomond . This 71-par course was designed by the acclaimed Doug Carrick to maximize the dramatic landscape straddling the fault lines between the Scottish Lowlands and highlands , with nine holes set in each. As well as the excellent setting, there is a golf shop, driving range and golf academy to explore - and make sure you enjoy some well-earned food and drinks at The Claret Jug after your game. It’s only 9 holes but it’s "Wee Demon" by name and by nature! Situated overlooking the loch, it’s a well-designed, challenging course, even for experts! Two of the holes are surrounded by water and there are some tricky par 3s and a demon of a par 5. Give it a go! With stunning panoramic views across the Clyde Estuary towards Arran , Helensburgh Golf Club is only 23 miles north west of Glasgow . There are excellent train and road links, so Helensburgh is easily accessible. Hone your skills in the practice area before you go on to play. Afterwards, enjoy the bar and restaurant on site and have a browse in the pro shop. Vale of Leven Golf Club was founded in 1907 and can be found in Alexandria, close to Loch Lomond . Here, you will play a beautiful 18-hole course with stunning views over the loch and surrounding mountains, including Ben Lomond itself. Keen golfers will enjoy the undulating fairways and fast greens - and the refreshments and pro shop. Generous undulating fairways and large deciduous trees are recognisable features of this golf course, which tends to play much longer than the yardage suggests. 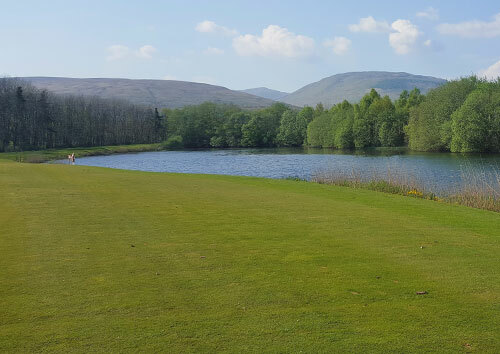 Less than 6 miles from the world-renowned Loch Lomond & Trossachs National Park , with stunning views over the river Clyde and only 20 minutes from Glasgow Airport , Cardross is easily accessible and a must on any golfing holiday. A clubhouse, catering and a pro shop are here, too. The only thirty-six-hole golf club in the area, with two scenic courses. Set in acres of rolling moorland, facing south over the city Centre of Glasgow . Enjoy the after-game banter in the clubhouse, which has three lounges, a dining room and a bar - and panoramic views over the course, Glasgow and the Campsie Fells. Buchanan Castle Golf Club is a hidden golfing treat, in a beautiful country setting, in the foothills of the Scottish highlands . You’ll find this course a fair challenge and enjoy the scenery as it’s set close to Loch Lomond and the picturesque village of Drymen - only half an hour from Glasgow City Centre . The beautifully decorated clubhouse is accessorised with Scottish accents and historical paintings, which add to the ambience. Magnificent views and interesting golf awaits you at Aberfyole. Sitting at the foot of the Menteith Hills, on the southern border of the Loch Lomond and Trossachs National Park , this is a short course which requires skill and imagination to complete. There is a welcoming clubhouse, lounge and coffee shop in which to sit and relax after your game. Set against the backdrop of the Old Town of Stirling and nestling beneath the world-famous Castle, this is one of the most picturesque courses in Scotland . An overall excellent quality course with stunning views in all directions across Central Scotland , the Ochil and Lomond Hills to the east, and the Carse of Stirling , the Trossachs and the Southern highlands beyond. A clubhouse, restaurant, bar and pro shop are all on-site, too. Golfers from all over the world come here to play one of the Great Golf Resorts of the World at the infamous Gleneagles Estate. You can tackle four golf courses (three of which are championship level) - or attend the Scotland's PGA National Golf Academy to brush up on your skills. Enjoy post-round hospitality in stunning surroundings at The Dormy Clubhouse, which has everything from comfort food to something freshly cooked from the tandoor oven.